The small, personalised nature of Hidden Valleys means we have an exceptionally friendly team of highly skilled, knowledgeable and experienced industry leaders, who assist in making every trip a special memory for our valued guests. As owner/operator of Hidden Valleys New Zealand Limited, Southy’s been guiding for more years than he cares to mention, but we’ve been counting and it’s over twenty. In addition to New Zealand, he’s filled up his rafting resume in such far off locations as Nepal, Borneo, China, Zambia, Zimbabwe, Turkey, Australia and the United States. He’s even guided on the White Nile in Uganda! He was captain of the 2000 New Zealand men’s rafting team – these guys were the Australasian champs and came in third in the world championships held on the Zambesi River in Africa. He knows rafting is about having fun, but he takes the job and safety seriously – he’s a national assessor and one of only four registrars for the New Zealand Rafting industry. 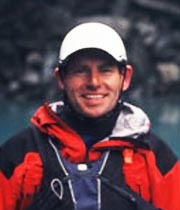 He was previously Chairperson of the New Zealand Rafting Association for ten years. Our great team out on the rivers and up in the hills wouldn’t be complete without somebody to make it all happen, somebody backing it all up in the office, and here is where our lovely and capable Sharon steps in. Sharon has been part of Hidden Valleys since August 2013. She lives with her husband and two sons on a dairy farm in the Orari district. Sharon has done a few trips with us but has more to conquer. With the advantage of growing up on Mesopotamia Station, Slee was just ‘there’ – climbing around the rafts, swimming in the river, learning to guide and kayak from a very young age. At only 23, he has a wealth of experience working in Australia on the technical Tully River and in Norway for several seasons. As a Grade 4/5 Senior Raft Guide, Slee now leads many of the Hidden Valley trips and is one of the first to step forward on our yearly rescue training workshops. Being a local, Maddy has been coming out on Hidden Valleys’ trips since her early teens, with one of her first journeys being a family trip on the Clarence River. From that point onwards, Maddy just kept coming back to Hidden Valleys and with her work ethic, her passion and her keenness to learn and help out, she’s ended up with a full-time job. With an amazing knowledge of local rivers, combined with a season in Canada and having rafted the Grand Canyon, Maddy’s knowledge and amazing smile make her a very special member of our team. 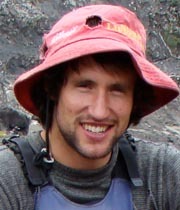 Nick first started working for Hidden Valleys in 2004, after a stint in Japan honing his rafting skills. 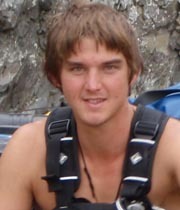 Nic is Southy’s cousin and has a broad background in guiding or instructing, tramping, kayaking, surfing and rafting. Despite his marketing degree, we know that it would be a crime to shut him indoors! In 2009, Nic furthered his international experience by working in Switzerland for six weeks. 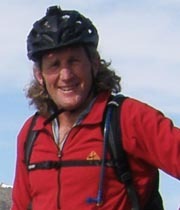 He also helped make the documentary African Odyssey, about his adventures from Cape Town to London by motorbike. In all, Nic is a true host: very pleasant to be around and very confident and comfortable out on the rivers that we run. Everybody loves Bob and he’s basically unruffable, even in the most challenging situations. 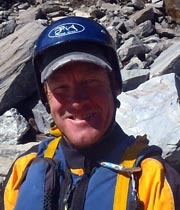 Bob, like Southy, has spent twenty years in the international and New Zealand rafting industry and was on the 2000 team as team guide with Southy. He’s guided in Norway, USA and in Nepal, where he earned his name Big Water Bob. Being one of the fittest guys you’ll ever meet, Bob is not one to sit still for long. Bob’s also had plenty of years guiding adventure trips in New Zealand, so knows all the great spots that you as visitors are keen to visit. Of late he has excelled in Waka Ama racing as well as revisiting raft racing. A tower of strength in the outdoors, he’s one of the most cheerful guys you’ll ever meet. No team would be complete without a good woman. Sarah is our good woman; none better, and few as good. Sarah is what you would describe as a great Kiwi girl. 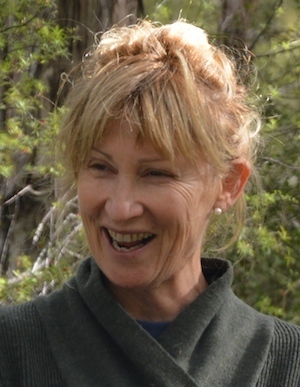 Brought up in rural New Zealand, working hard, she’s combined a great work ethic and fantastic values with a love and enthusiasm for the great New Zealand outdoors environment. 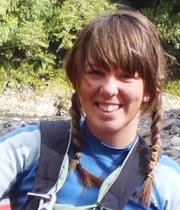 With a two year outdoor education course on the South Island’s rugged West Coast and a great set of base skills, Sarah began her career as a guide in the commercial environment. Her skills have been in strong demand and Sarah has become a real role model for women keen on the outdoors. Throughout the winter Sarah works at the Mt Hutt skifield, driving snow groomers. She is a regular competitor in the famous Coast to Coast Multisport race, putting many males to shame. With experience guiding multi-day trips on the Salmon River in Idaho and also the Grand Canyon, Sarah is a favourite with our clients. She’s a favourite with us as well and we’re as delighted as our clients to have her on board. The two Daves! Like the other Dave, Millsie often assists us with the safety kayak position on trips, but is also a highly skilled raft guide who takes real pride in running nice lines through rapids. 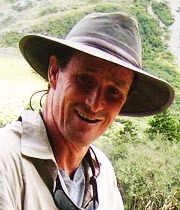 Millsie worked for many years as a river expert in all corners of the world, with many seasons in Nepal and the USA. 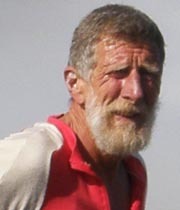 He was a valued member of the New Zealand Raft team with Southy and Bob McLachlan. Millsie is now living in Hokitika so he can be close to his passion of white water rivers. We love to see him out with us and would rate him as one of the best safety kayakers in the game due to his all round understanding of rafting, and the many years we have working together. Dave often gets the safety kayak job, as kayaking has been one of Dave’s passions for many years. In fact, he’s so passionate about kayaking that he works for the New Zealand Kayak School as well as local Polytechnics, training our industry people of the future. Dave lives in Hokitika on the South Island’s West Coast, the perfect base for him and for us, as we are able to pick him up en route to our many west coast river runs. On top of that, Dave gathers up to date weather forecasts and provides information on the local rivers: rivers that he knows like the back of his hand. Al is our mountain goat. 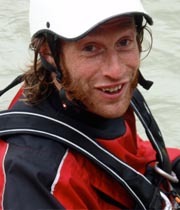 Apart from being an extremely valued industry colleague who has freely given his time over the years for the benefit of the rafting industry, he’s also a qualified mountain guide with a wealth of mountaineering and rafting experience. He’s climbed many of New Zealand’s highest and is very hands on in the outdoor training of people in both mountain and river running through New Zealand’s Polytech and Canterbury Mountaineering club. Al is from the ‘school’ of realism and demands high standards of those he teaches, as well as his industry peers. 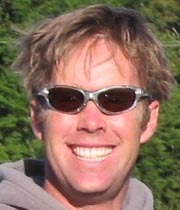 He is currently on the New Zealand Rafting Association’s Executive Committee. On a mountain pass trip like the Dennistoun, where we hike in and raft out, Al’s our man – none finer. When you’re accompanied by a man like Al, who has lived and worked in the back country for as long as he has, you’ll probably find yourself exceeding your own expectations of your abilities! Anyone and everyone you talk to from our industry knows the legendary Eric Saggars and you’d be hard pushed to meet a better mountain man. Despite his ‘Billy Goat Gruff’ tag, he’s one of the most humble people that you’ll ever meet. On trips, you’ll see his patience and gentle encouragement assist people to achieve summits and passes that they probably thought were impossible. He’s a bit of a hard case and so in tune with the mountain environment, you just have to look at his experienced face to know that he’s a truly amazing mountain guide. Keith has come onboard for many trips in the last few years. Southy has worked alongside Keith at Tai Poutini Polytech where he tutors students on a number of outdoor pursuits. One of the great things about Keith is that he is as happy in the mountains as he is on a river. His name is legendary in kayaking circles for his descents of some of the toughest runs in New Zealand, many of them being first ascents. Keith also lives on the South Island’s West Coast. This means that for a West Coast river trip, we’re able to access one of the very best industry leaders.